Have you ever felt like soft skills such as communicating effectively, better managing your time, or building relationships was something you are gifted with, and can not be taught? The belief that soft skills can not be taught is a common misconception and Geek Manager Blogger Meri Williams refers to this belief as the “Soft Skills Fairy.” Many people feel some are blessed with soft skills, while others must languish in their inability to grasp them. The truth is that anyone can learn soft skills, much like learning to program code, cook, or fix a car. These skills can be obtained in a variety of ways including reading books, personal development courses, and life coaching. In “9 Soft Skills Every Employee Needs, Regardless of Technical Skill,” I discussed the skills employers want and how knowledge of these skills are not enough. Honing these skills are vital to your employability and professional growth. Carli Lloyd, a professional soccer star, did not start out as a winner. She was physically unfit, was not mentally strong enough, and her character needed work. She doubled down and improved herself. Lloyd is now considered one of the most physically and mentally fit athletes in professional soccer, and she is lauded for her character. Carli Lloyd’s coach pointed out to her when she was aspiring to join the national soccer team that athletes at this level work hard to obtain results. They live, breathe, and sleep their big goal. They train mentally and physically from the time they wake up until the time they sleep. It takes extreme discipline, and learning which soft skills to develop also requires discipline. Soft skill development requires awareness at a conscious level, and then to become unconsciously competent requires extreme regimen and consistent awareness, for which external guidance can be pivotal. Becoming unconsciously competent takes place in stages. Many people have blind spots when it comes to their own soft skills. A skills assessment quiz is one of the best ways to pinpoint where your skills are lacking. Setting goals allows you to track your development. One of your goals can be to identify all of the soft skills gaps that stand to threaten your professional success by either taking a quiz or working with a coach. 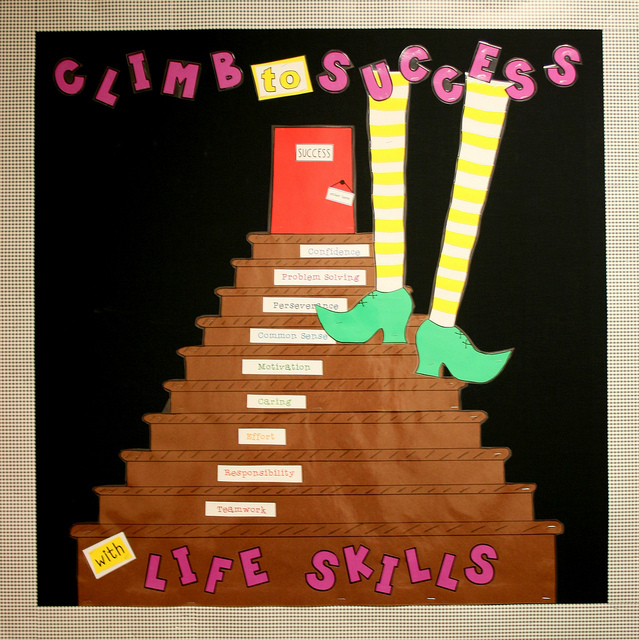 After completing the quiz and setting goals, take a moment to sit down and decide which skills you need to develop. Prioritize the skills you will develop first, and create a list reasons why you want to improve these soft skills. The list of reasons can range from “I am having trouble connecting to my co-workers,” to “I want to become a better leader.” Whatever your reasons are, they are personal and unique to you. After you have created your list, share it with a coach, mentor, or friend to help keep you accountable. An accountability partner can keep you on track and serve as support. All of the planning in the universe is useless without a solid plan of action. Once you know where you need to improve, and you have a method of accountability, it is time to put the task of learning soft skills into motion. The use of a life coach can be another method to identify the blind spots in your soft skills development. People often need someone else to angle the mirror correctly to see what they cannot see in themselves to improve various aspects of their lives. A coach can provide this mirror, a path to move forward, and the ability to push you harder on that path. The development of soft skills is similar to learning physical skills. Unless you exercise those skills, they will not grow. You can also think of a good coach as a captain helping you to navigate the waters of personal and professional development. You could complete these tasks on your own, but arriving at your destination will take much longer. Once you have begun to develop your soft skills, it is time to put them into practice. You would not expect an athlete to go into their first game without practicing, nor would you expect a programmer to release code without extensive testing. In the same manner, you can practice your soft skills. You can join associations or hobby-related clubs. If you really want to put your newly acquired skills to the test, attend a soft skills training workshop. Take and graciously accept feedback, as it will help you keep track of your development progress and help you target areas of weakness. Practicing your soft skills will allow you to sharpen them outside of the workplace. As you continue to put your soft skills to use, recalling them will become easier and will feel more natural. We often think soft skills can not be improved, or are notoriously difficult to develop. In truth, like any area of your professional and personal life worth developing, the development of soft skills is not an easy path. The good news is that anyone can learn and improve these skills if they are willing. As I said in my previous article, technical skills are what employers notice, but soft skills are what help you land and keep you employed. Taking the time to commit to learning soft skills can improve your employment situation by making it easier to land, to constantly grow, and to take your career to new heights. A brilliant scientist was hired at a pharmaceutical company and was let go six months after landing. He was challenging throughout the qualification process, and I thoroughly coached him during the interview process. He ultimately lost the position because no one could work with him. His brilliance could not be properly leveraged to create value for the organization. Because of his failure to succeed, I was unable to place him anywhere else. Unfortunately, there are a lot of brilliant technically skilled people whose potential for creating value in this world is inhibited by their lack of ability to integrate and collaborate with others. Effectively managing time allows you to take other people’s busy schedules into consideration. Demonstrating it in the interview: Give answers that stay within a reasonable limit of time for the details asked. Demonstrating in your past experience: Promote your ability to deliver assignments or projects on time, even in challenging circumstances. Communicating effectively allows you to connect interpersonally with others via written and verbal means. Demonstrating it in the interview: Plan and practice what you will say before the interview. Speak clearly and concisely, and listen to your interviewer. Demonstrating it in your past experience: Provide examples of written material you created, such as a memo. Good relationships are built on trust, positivity, and communication. Demonstrating it in the interview: Listen and be respectful of your interviewer, and ask questions in order to build rapport. Demonstrating it in your past experience: Talk positively about your previous employers and provide examples of teamwork. Your attitude consists of a positive frame of mind that exudes hopeful optimism, and is focused on creating solutions. Demonstrating it in the interview: You are positive and upbeat throughout the interview. Demonstrating it in your past experience: Discuss how your positive attitude raised morale, allowed you to easily participate in teamwork, and helped provide solutions. Confidence is the belief in your own skills and the ability to take on new tasks. Demonstrating it in the interview: Give your interviewer a firm handshake, make eye contact, and maintain good posture. Demonstrating it in your past experience: Promote your achievements, especially the successful completion of tasks that were new or difficult. A good leader is constantly motivated to improve and acts decisively, even if you are not managing others. Demonstrating it in the interview: Provide examples of how you faced a challenge and acted decisively to create a resolution. Demonstrating it in your past experience: Quantitatively speak about your accomplishments. How much money did you save the company with your actions? Being flexible allows you to adapt to a variety of circumstances and people, and work through unexpected events. Demonstrating it in the interview: Give your interviewer examples on how you quickly adapted to changing circumstances in the workplace. Demonstrating it in your past experience: Discuss how you used your flexibility to step out of your comfort zone and to take on new tasks. A creative employee offers suggestions or ideas on how to improve workflow, or increase work value. Demonstrating it in the interview: Explain how you solved a productivity problem and how your solution benefited the company. Demonstrating it in your past experience: Promote the value you added to a company by introducing a more efficient work method. Effective problem-solving takes into account how you encountered a problem, and how you persisted until the solution was found. Demonstrating it in the interview: Walk an interviewer through your problem solving processes. Demonstrating it in your past experience: Discuss how you solved a particularly difficult problem and how it positively impacted your employer. Employers use hard skills as criteria to ensure a candidate meets a job’s technical requirements. The interview determines a candidate’s soft skills. I spoke to Guy Fardone about how Evolve IP, a cloud services company, primarily hires candidates based on their emotional intelligence and aptitude. Questions the employer asks are “Do they look me in the eyes, and are they able to listen and then respond appropriately?” “Can they build rapport?” People who come in the door already having a baseline understanding of how to build relationships with people are going to be that much more successful in their career. 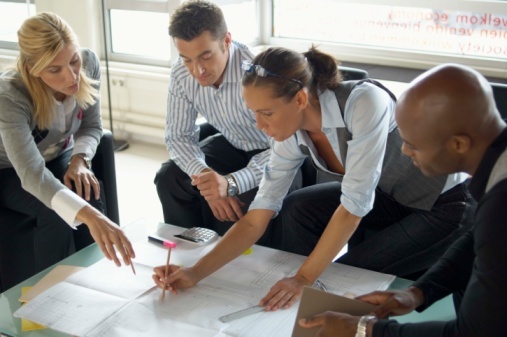 Many employers rate the importance of soft skills just as highly as technical skills. Your technical skills may open the door to interviews, but your ability to manage time, problem-solve, build relationships, and your creativity are what enable you to land and keep the job. Emphasize how your use of soft skills has to led success in the workplace, and how they can help you bring value to a potential employer. Successfully leveraging your soft skills and your technical skills can set you apart from other job seekers, and enable you to land faster. Your last interview seemed to flow really well. You were at the top of your game, knew all about your potential employer, and you asked plenty of questions. Still, there is a little bit of doubt eating away at you. Perhaps you should have asked more questions, or you forgot to mention one of your better achievements. It does not matter how well you performed, or did not perform during your interview. Send your interviewer a follow-up within 24 hours of the meeting, regardless of your performance. A follow-up is your chance to stand out from other applicants, and to remind your interviewer why YOU are the best candidate for the position. Your follow-up informs interviewers that you are thankful for the interview and are serious about the position. Thank them for not just the interview, but the opportunity to learn more about the company culture, the people, and the initiatives. You can reiterate why you feel you are the right candidate for the position. Use your follow-up to remind them how your experience and skills are a good fit for the company. A great follow-up demonstrates your interest in the company. Often the hours of reflection after an interview can bubble up really good ideas as to how you can add value to a company. Capitalize on those ideas and send an interviewer what you envision to be your best approach at helping them achieve the objectives you now better understand. All of those things you wish afterward you could have said, you can now say. Sometimes you do not know where you missed the mark, or afterward you might feel as if you forgot to mention an experience that was directly applicable to what a potential employer is trying to achieve. Use this opportunity to turn things around if the interview did not go as well as you think. Make an employer want to know even more! Intriguing an employer may be enough to keep you in the running as a candidate. A follow-up is also your opportunity to remind an interviewer about an important topic you discussed during the interview. You may feel as if you made a great impression by describing a particular problem you solved, or an interviewer might have been impressed by your professional achievements. This allows you to stand out among the many applicants applying for the same position, especially those who may not follow-up. Format also counts. E-mail is more than sufficient for your follow-up. A hand-written note is an extra step, but may remain with an interviewer longer, if he or she keeps a copy of it on their desk. 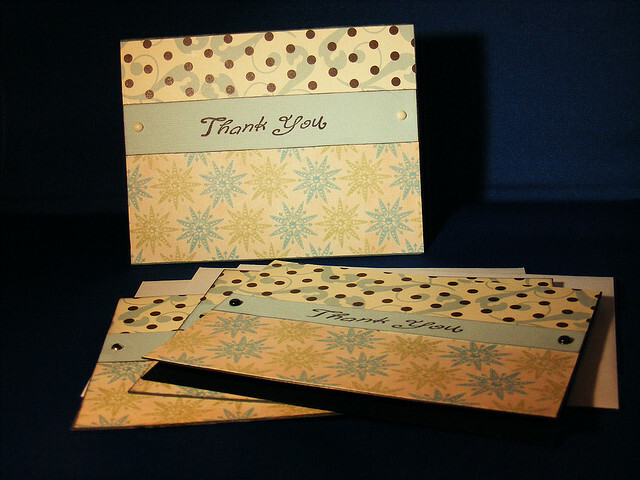 If you are going to send a handwritten note, send an e-mail to be prompt AND a handwritten note. If you know a position needs to be urgently filled, go with e-mail. An actual letter could be too much. Send a note and an addendum if you have extensive information to relay. If you weren’t right for the position, you can keep your name in the mind of the interviewer with a follow-up. The point of this follow-up isn’t to ask for reconsideration, but to keep your options open, in case another opportunity with the company should arise. Do not just send a simple “thank you,” but also send articles, whitepapers, and other resources. Not all at once- drip the content on them over time to maintain the relationship and let the employer know you’ve been thinking about them, their needs, and their goals. This demonstrates that you really took to heart what an interviewer said, and that you want to add value to a company. In case you were wondering if following up might seem desperate: taking a moment to thank an interviewer is NOT desperate! You may be tempted to address any concerns you had during the interview in your follow-up. Proceed with caution here. Make sure an interviewer is interested before you start addressing any concerns such as a period of unemployment that you could not easily explain. In fact, if you are working with an outside recruiter, address your concerns with them. With an inside recruiter or the hiring manager, wait for the second interview to bring up any issues with your prospective employer. You may have been interviewed by a panel for a position, instead of a single interviewer. Take a few moments to follow-up with all of them. Each person involved in the panel of interviewers represents a different area of the company, such as a department manager, an HR manager, and team leaders. Send each of your interviewers a customized note, not a template, to avoid embarrassment should they compare their follow-up notes. At the end of your interview ask “If I don’t hear from you by X-date (next week, perhaps), how would you like me to follow-up with you?” A phone call is the best method, but some interviewers may have their own preferences. If you have not heard back from your interviewer within a few days, take the time to follow-up by phone, unless they have indicated otherwise. Silence can mean it is possible that you may have lost out to another candidate, but were not informed. People spend too much time contemplating why they aren’t getting a response when they could be taking it upon themselves to check in. If you did not get the job, ask them why, this is valuable information for your next interview. That said, do not be surprised if you are not given the opportunity to receive feedback, or if you do not receive an answer. In my experience as a recruiter, as much as I thought this was valuable information for any job seeker to have, not every person was truly open to hearing or accepting constructive criticism. If an interviewer or recruiter takes the time to offer you feedback, be open to accepting that constructive criticism and thank them genuinely. When the time arrives for your next interview, you will be better prepared. Following up after an interview can be the difference between landing the job, or being the runner up. It may not guarantee that you will land, but it can leave a good impression that could lead to future opportunity. Just imagine if there are two equally qualified candidates in the running for a position. One candidate sends out a thoughtful follow-up, where he or she thanks the interviewer for their time, reiterates why they are perfect for the position, and provides ideas on how they can offer value to the company- all within 24 hours of the interview. The other candidate is completely silent. Which scenario leaves a better impression on an interviewer? You want to be the candidate that leaves a positive and lasting impression on a potential employer. The time you spend on a follow-up can greatly increase your chances of landing. Has it been more than five years since you searched for a job? Do you remember the last time you looked at your résumé? Do you still believe in the use of an objective? If you answered “yes” to any of these questions, it is time to update your résumé. Most people believe that adding a few bullet points about what they have done in the past five years is adequate. They make these small changes and start submitting their résumé. One major reason people hate going near their résumés is because it forces them to remember what they’ve done professionally over the past few years. It is a fact that the more time that passes, the harder it is to recall everything, unless you have kept track of your accomplishments somewhere. The longer a résumé has not been reviewed, the more painful or frustrating it can be to update. Here is a more timely focus to consider- as the New Year approaches, assess your employment goals and take some time to be intentional about your career direction. Update your résumé based on where you want to be in the future as a reference for what to include about the past. Be conscientious about your BRAND. This is critical- we are not just taking about a few résumé updates, but reinventing your brand to fit your future goals. If you have not been actively searching for a job in the last few years, the process of revising your résumé can be intimidating. 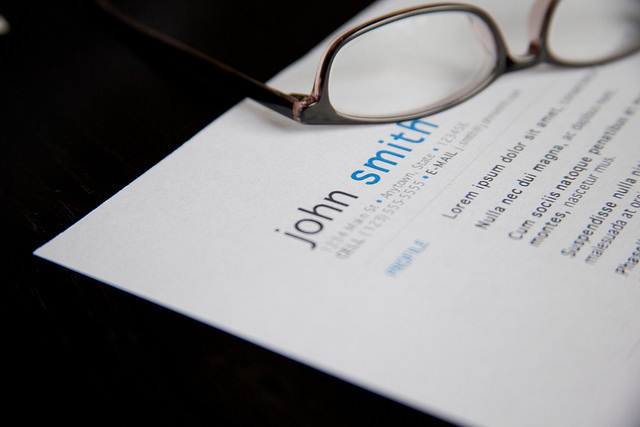 Even if you are not actively searching for work, NOW is still the time to update your résumé. You may not need a job today, but your employment circumstances could change in an instant. Keeping an updated résumé is useful because an opportunity could present itself at any moment. You could meet your next boss ANYWHERE. A quality résumé branding and writing process takes five days for a first draft, and a comprehensive review process can take another three days. If a position is open, and you are given the opportunity to be the first in, be ready to strike! If 70% of the workforce is disengaged from their job, and you are one of them, this advice can help YOU. In the 1980s it was acceptable to include a fax number with a résumé because of the popularity of fax machines. It was during this time that formats with 1”+ margins, sub-headers in the left margin, and content indented to the right became popularized. In the 1990s email became a popular way to send résumés. Still, résumés kept the formatting that became popularized in the 80s. In the 2000s interactive résumés were popularized. By the end of the decade large margins were out, and the use of white space gave résumés a less cluttered appearance. Objectives were replaced by professional headlines and summaries, branding allowed job seekers to demonstrate their value to employers, and keywords made it easier for résumés to be found in applicant tracking systems and online databases used by employers. 2010 to now- Résumés can be shorter, but it depends on the field. For years the myth that résumés had to be one page was prevalent. Actually, two-to-three pages are the standard for senior professionals and executives, and some fields require even more extensive documentation. Résumés now contain social media links and a LinkedIn profile can serve as a good companion. Résumés must now be tailored to a particular job and company. The days where a general résumé would suffice are gone. Thanks to the LinkedIn and the prominence of personal branding, you can no longer be everything to everyone. You can be dynamic, and wear many hats, but you also have to know which employers want that and to state what resonates with them. Then you have to make sure they can visualize how you will fit into their company and avoid applying to targets that do not fit. This next part takes people into a conversation I have most frequently with people who have searched for a long time. They have been advised and decided that they MUST make themselves as “employable” as possible. This often means applying to multiple positions in the hope of being seen as flexible. However, as I state in my article, “More résumés ≠ better results” taking this approach means that the job they really want will escape them. Instead of coming off as employable, you strike a potential employer as desperate. Tailor your résumé instead. Crafting a tailored résumé requires you to put on a marketing hat and to research your targets. This means finding out what a company wants and needs for a position. If you do not believe us (per above), ask an employer if they want someone who is willing to take anything, or if they would rather hire the person who can clearly articulate where they want to add value and demonstrate how they add that value. Chances are if you have not taken a look at your résumé in several years the format is dated. Most hiring managers only spend an average of seven seconds looking at a résumé. If your résumé is difficult to skim, it increases the chances of an employer passing over your résumé in favor of a candidate with an easier to read résumé. Just imagine if this article had huge indentations, and was poorly aligned. You probably would not make it halfway through before you stopped reading. The same can be said about your résumé. Poor spacing between lines, extra indentations, and typefaces that are not compatible with both Mac and PC make for difficult-to-read résumés. The most impactful changes you can make are to remove all of your indentations so the document aligns perfectly, and to decrease your margin size. LifeClever has an excellent visual tutorial. The content matters just as much as the format. Résumés filled with clichés such as “hard working,” “team player,” “proven track record,” or “motivated” are so overused that they have become meaningless buzz words to most potential employers. Employers want to SEE these qualities in their candidates. Instead of telling a hiring manager that you have these qualities, demonstrate them. 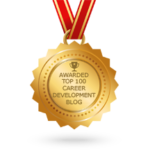 State HOW these particular qualities have manifested value throughout your career. Think of your achievements and how your particular attributes have helped you accomplish those achievements. Expand on those specific attributes in the experience section of your résumé. Specific attributes also form the foundation of your personal brand. In fact, your personal brand is the foundation upon which the powerful content of your résumé is built. Branding allows you to better market yourself and to stand out from the competition. A brand communicates who you are and the value you bring to an employer. A brand also allows you to demonstrate to an employer what you offer above and beyond the qualifications listed on a position, how you are a good fit for the company, and the numerous ways you have made significant contributions to previous employers. To create and infuse your brand throughout your résumé consider your talents, your skills, your most valuable personal attributes, your passion, and what makes you stand out from other potential candidates. Many résumés are read online. Keeping that in mind, it is important to use keywords in order to ensure your résumé is found by potential employers, but they must be used in context. Keywords are a series of words related to your skills, your experience, and the position you are seeking that employers use to find your résumé among other applicants. Some résumés without keywords are never even seen. While these words are literally the key to being seen by potential employers, using too many keywords can raise red flags and cause an employer to reject your résumé. Use these words with care. If you have decided your résumé is in need of an update, we can help. Check out our video series “Scrap your résumé if it has these 10 things,” to guide you in the revision of your résumé. We also offer branded résumé writing services, including semi-branded low-budget options. If you want to update your résumé yourself, we have a DIY Résumé Summary Builder (it requires Microsoft Word 2010 or newer). To be ready for an opportunity at any time, tailor your résumé for your next ideal position, and update it at least every year, if not twice a year. Keep that file of achievements handy. The purpose of your résumé is to entice employers to invite you for an interview. An old résumé may garner some responses from employers, but the response will be much higher with a résumé that is current with the times. The task of updating a résumé can be daunting, especially now that you know what is required of an effective résumé, but the more often you go through the process, the faster it goes. After all, having a powerful résumé will pay dividends when you are able to shoot it right over to your next boss that same day, and you are quickly invited to interview. Have the peace of mind knowing that your résumé is ready to go at any time, even if you are not actively searching for work. Consider it a critical component for your self-generated job security. Netflix is a company that is notorious for firing people if they’re average, under-performing, or no longer needed at the company. In September, NPR’s Planet Money ran a story about Patty McCord, Netflix’s Chief Talent Officer. McCord was famous for helping to pen the company’s HR policies and designed a culture where a manager isn’t afraid to fire employees. Netflix had a product tester who was exceptional at finding software bugs. Automation tools were introduced to the company, but the product tester wasn’t adept at using them. Instead of shuffling the worker around, McCord decided the best course of action was to fire her. The meeting was painful for the woman and she found it to be incredibly unfair. McCord didn’t see it as firing a person, but instead helping them to move on. Eventually, the culture she helped create at Netflix turned on her and she was let go from the company after 12 years of service. Since then, McCord moved on to form her own leadership consulting group. The loss of a job can be shocking, painful, and depressing. However, the loss of a job doesn’t mean the end of your career. A job loss can mean that a new chapter in your life has begun, and being fired from one position may be a blessing. The event can serve as a valuable learning opportunity on what not to do in the future and how to become a better employee. It can be what you need to finally find a job that truly excites and inspires you. The job you lost may not have been your true calling. Being let go from your position could be the opportunity to do something you are passionate about. People stay at jobs they don’t like, or outright hate, because they’re afraid to move on to something better. In fact, according to Dr. Travis Bradberry, 59% of people stay at jobs they don’t like. Being let go can be your chance to put your professional life into perspective. A career transition may require additional training, or going back to school, but the new skills you obtain can create new career options. The working conditions at your previous employer may have been unfair, and being fired can allow you to escape from a toxic environment. High levels of stress, low morale, a poor work-life balance, and poor leadership may have been a constant part of your workplace. Attempting to address or change a dysfunctional workplace ended with you being fired. Toxic work environments can deeply impact your self-esteem, your outlook, and are detrimental to your mental and physical health. Dealing with toxic workplaces and leadership can be a form of emotional abuse. If you’ve found yourself in such a situation, you may want to consider talking to a professional (we can refer you). These symptoms can be similar to PTSD in extreme cases. Being terminated from a toxic environment is a chance to start anew. Imagine working with an employer who values your input, your time, your well-being, and presents you with opportunities to grow. Optimize your job search by identifying the criteria you want from your next employer, and carefully researching them. It may have been your fault you were fired, and it’s worth considering because any prospective employer will wonder. If being let go was due to your own actions, you can still turn the situation around and restore your integrity. I learned a new respect for integrity through Landmark Education. Having integrity is not exclusive to being moral and ethical: it also means keeping your word and being authentic. I realized with unprecedented clarity how messy life can become by being out of integrity; recovering can seem like an insurmountable task. While it can be challenging to stay in integrity in our lives and relationships at all times, and though people can forgive, they rarely forget. Integrity CAN be restored by being fully accountable for your actions, recognizing your mistakes, identifying how you can improve, and committing to acting as your higher, wiser self in the present and in the future. Being fired may light a fire you never knew you had. It’s possible become comfortable at a job and to stop growing in your career. Being fired is a way to turn this around, prove your doubters wrong, and to improve yourself all at once. That said, please don’t use being fired as a tool to start growing in your career. If you are in a position where you find yourself receiving a warning or facing probation, it is time to make a decision to resign or redesign your career. A few times in my career, I didn’t move on until change was forced upon me. The times I took it upon myself to create change were when I knew it was needed, and I felt more empowered as a result. Don’t wait until an employer makes the decision for you. 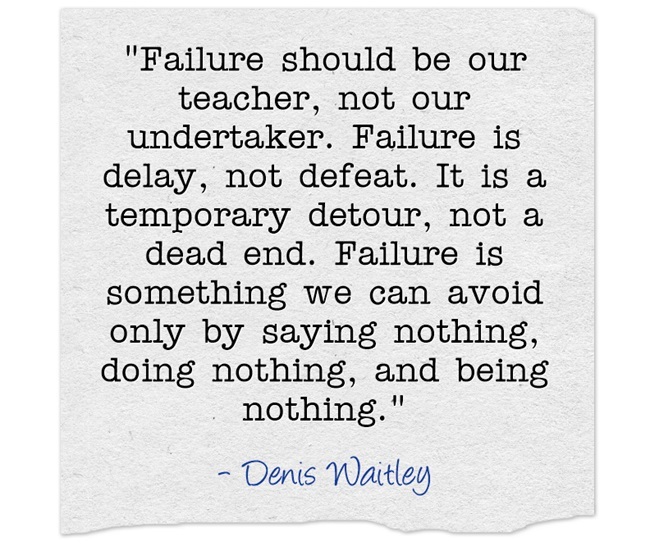 Failure, or what may be perceived as failure, is an opportunity to learn and grow. Many entrepreneurs believe failure is the key to success. Failure is a constant threat in the business world, but it also allows for growth. A fear of failure can often cause entrepreneurs to shy away from risk and new opportunities. Failure is a chance to learn from your mistakes and to grow. There are people who are so wildly successful that it can be hard to believe they were terminated from their jobs. Not letting failure hold them back, they went on to create exciting opportunities in their professional lives. Oprah Winfrey strived to be like Barbara Walters from an early age and took steps to make her vision a reality. At the age of 22 she co-anchored the evening news at a Baltimore TV station and was removed. She took over a Chicago talk show in 1984 and the rest is history. By rebranding herself as a talk show host, Oprah discovered her true passion and became one of the most influential people in the world. Through The Oprah Winfrey Show she touched millions of lives. Oprah is now a media mogul with the to power promote authors to the top of The New York Times Best Sellers list, has made the careers of other talk show hosts, and is one of the world’s richest people. Shark Tank star Kevin O’Leary learned his first employment lesson in high school. He was fired from his first job at an ice cream shop after refusing to do a particularly menial task. Being fired convinced O’Leary to become an entrepreneur. He raised $10,000 to fund his first big idea, Softkey Software Products. He would go on to acquire other companies, and to star on Shark Tank (also gaining the name “Mr. Wonderful”). From an early age, O’Leary knew he wanted to be his own boss. Mark Cuban, an entrepreneur and a star investor on Shark Tank, started his first job as a salesman at a computer software store in Dallas in 1980. He was supposed to open the store one morning, but met with a potential client instead. He was fired and decided to start his first company, MicroSolutions. Less than a decade later Cuban sold MicroSolutions and made millions on the deal. Since then, he moved on to own the Dallas Mavericks, Landmark Theatres, and Magnolia Pictures. Cuban wasn’t afraid to task risks, even though it cost him his first job. He continued to take risks and eventually that attitude led him to become a billionaire. Steve Jobs helped co-found Apple with Steve Wozniak in 1975. After a disastrous launch of the Macintosh in 1984, Jobs began to clash with Apple’s board of directors. By 1985 he was stripped of all his power on the board and resigned. Undeterred by being pushed out of the company he helped found, Jobs would go on to co-found NeXT Computer Co., buy Pixar Animation Studios from George Lucas, and return to Apple in 1997 when the company was in serious trouble. Under his leadership, he turned the company around. Jobs’ visionary ideas may not have been well-received at Apple in the 1980s, but he never compromised his revolutionary visions of technology, nor did he stop striving for innovation and excellence. Madonna was destined to be a star. She studied dance in college and dropped out after two years, before moving to New York. Madonna took a job working at Dunkin Donuts, was fired on the same day, and took several more fast food jobs. She never forgot her original vision. By 1982, she had her first club hit, “Everybody.” Madonna had to take jobs to keep from going broke, but she had a passion for singing and never lost sight of her true goal.